Heading for Trout Rock Lodge→Dinner at the lodge→Enjoy all night Aurora viewing!!! Shore lunch on the island (Sashimi if fish is caught / Hot Soup / Aboriginal bannock)→Dinner at the lodge→Enjoy all night Aurora viewing!!! Dinner at local restaurant→Aurora viewing tour: Cultural Aurora viewing at Aboriginal Village or Aurora Station with the only sky-deck up north and flushing toilet. 1. The package price is subject to change due to actual circumstances. 2. If your arrival is delayed, we can not guarantee to make up your full package, but we will try our best. 3. Our minimum requirement are two persons. 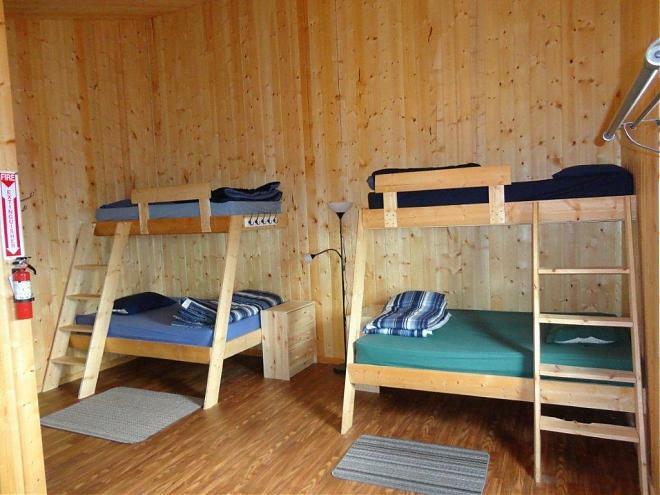 All rooms and cabins at the lodge are 4 beds. If 2 guests want to stay at the room exclusively, a surcharge will apply. 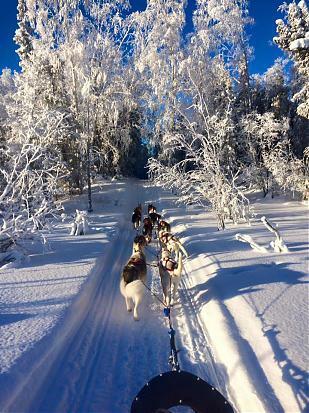 Winter season lodge departure from Yellowknife is every Tuesday and Friday at 5:00pm. There is no running water in winter season due to permafrost in a wilderness location. Pacto toilet are in each room but not cabins, cabin guest has to use pacto at the main lodge.